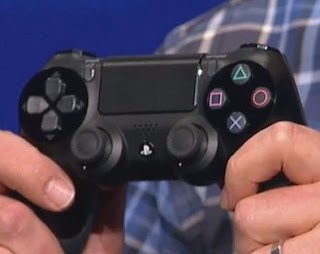 The system will feature a brand new Dualshock 4 controller. The controller itself features a share button, headphone jack and a touch panel which is almost identical to the rear trackpad on the PS Vita. 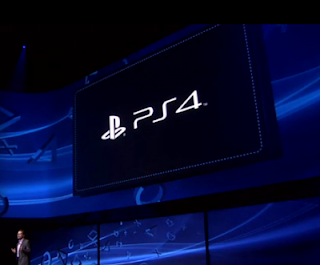 The console will also feature a sensor similar to the Playstation Eye. The PS4 features a "X86 CPU and has 8GB of memory and a local hard drive. It uses APU technology and GDDR5 memory, which is typically reserved for "top of the line, high end graphics cards." The PlayStation 4 will also feature a heavily social media integrated operating system. The PS4 will also feature a secondary chip which will allow for background uploading and downloading, games can also be played while they are being downloaded. PS4 games include Infamous: Second Son, Watchdogs, Killzone: Shadow Fall, Diablo 3, Drive Club and more. The PS4 will launch Holiday 2013. Also we are aware that this is PS4 news and not PS Vita news. But we feel it is still necessary to post this. Let us know what you think of the PS4 reveal in the comments below!